Celebrating all things anime, the 2016 Funko Pop Anime Day GameStop vinyl figures are part of the one-day event that takes place at U.S. GameStop locations. In addition to various sales and offers geared to the anime genre, collectors can find two exclusive Funko Pop Anime Day GameStop figures. As part of the celebration, GameStop will be selling Funko Pop Anime figures that will not be found anywhere else. The first is Hollow Ichigo from the Bleach animated series. 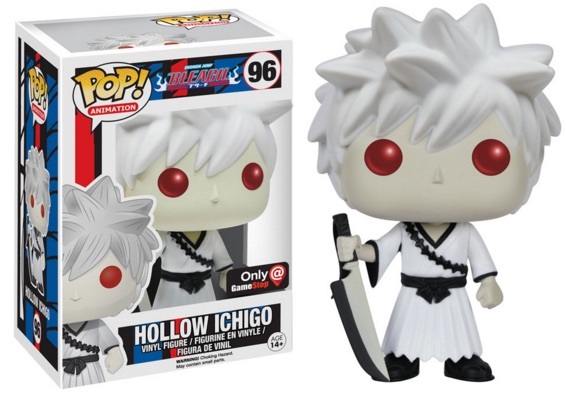 The all-white version — complete with red eyes — offers a stark contrast to the earlier colorized Ichigo figure (#59). The black-and-white figure retails for $10.99. Checking in a bit larger, the second figure is a 6" Super Sized Pop for Kurama Mode Kurama from the Naruto: Shippuden franchise. The glow-in-the-dark figure joins an earlier 6" figure for Kurama (#73) and retails for $16.99. Both of the exclusive figures are included in the larger Pop! Animation line that extends across the world of animated shows. The 2016 Funko Pop Anime Day takes place on February 20 at all GameStop stores in the United States. Beyond the exclusive figures, there will also be sales on all Pop figures (Buy 2, Get 1 50% Off) as well as deals on anime video games. 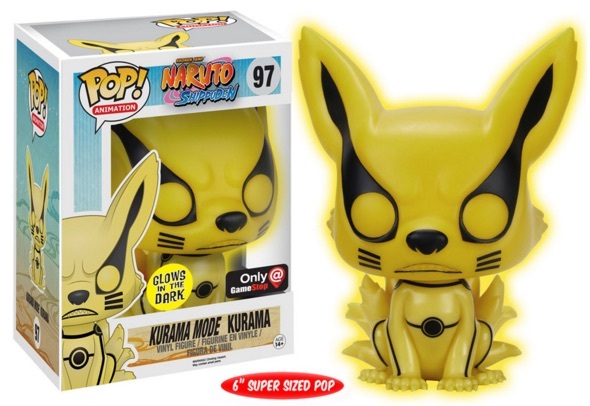 Collectors can also pre-order upcoming Funko Pop Anime figures. Click on the listings or images to shop for figures on eBay. 97 Kurama Mode Kurama (Glow in the Dark) - 6"